So you need a Sedan but you are a recent college grad, and want great MPG, superior technology packages, and an impressive interior. 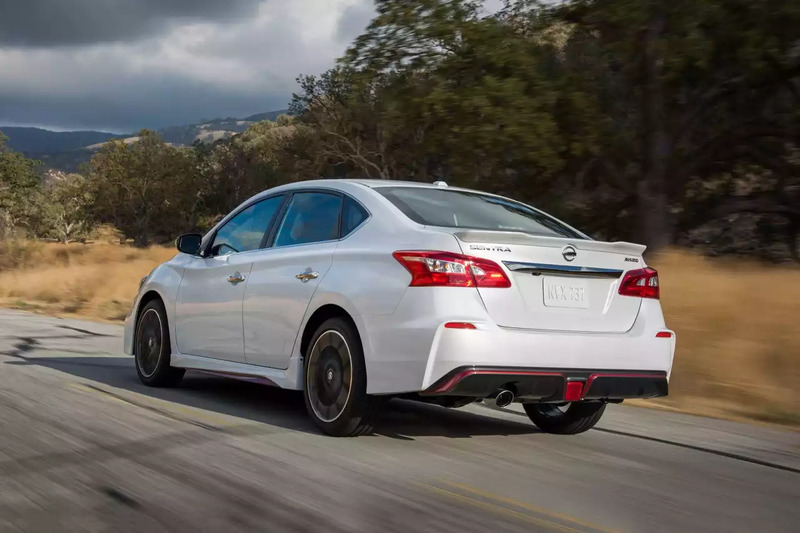 Look no further than the 2018 Nissan Sentra. The Sentra comes equipped with a standard 1.8-liter I-4 engine that produces 124 hp and 125 lb-ft of torque and has an EPA-rating of 29/37 mpg city/highway- perfect for those commuters in the city! The Nissan Sentra has a sophisticated exterior including aggressive rear and front fascias, and sweeping headlights. The Sentra has a distinct honeycomb grill that sets it apart from the everyday sedan. Enhance your vision of the road ahead with the LED low beam projector headlights. No exterior is complete without five spoke 17” alloy wheels. 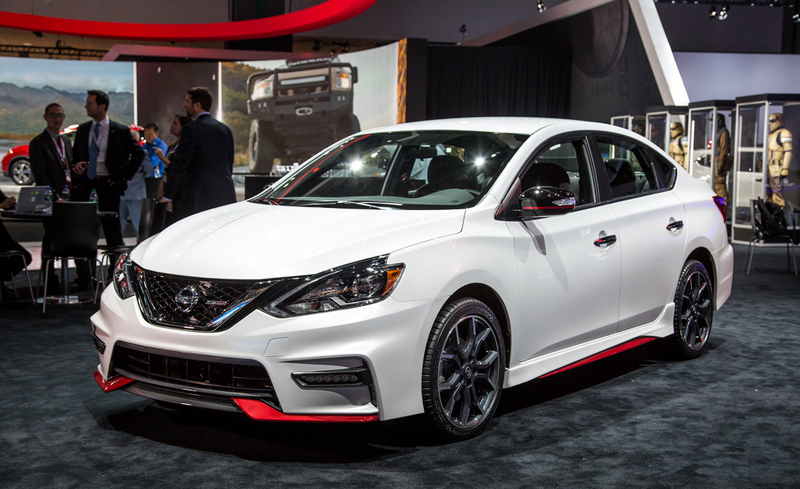 The Nissan Sentra comes in a number of trim packages including the S, SV, SR, SL, and NISMO. Sentra S comes standard with 5.0-inch center display with Bluetooth streaming audio and Siri Eyes Free, three drive modes (Eco, Sport, Normal), automatic headlights, a USB port, and cruise control. The SL model is more luxurious. It comes equipped leather-appointed seats, heated front seats, dual-zone automatic climate control, auto-dimming rearview mirror, six-way power driver’s seat, a 5.8-inch touchscreen with NissanConnect with Navigation, a 5.0-inch driver’s display, leather-wrapped steering wheel, LED headlights with accents, fog lights, and 17-inch aluminum wheels, power moonroof, Bose audio system, adaptive cruise control, and Forward Emergency Braking. NISMO is for the boldest of drivers. It is equipped with NISMO-tuned suspension and steering, NISMO sport front seats, NISMO Alcantara and leather-wrapped steering wheel, NISMO leather-wrapped shift knob, NISMO tachometer, 18-inch NISMO wheels, a NISMO aerodynamic body kit, and NISMO black outside mirrors. The interior of the Sentra is constructed with luxury in mind. Who doesn’t love luxury in an affordable sedan? The interior is made with fine soft-touch materials. The cloth seats are comfortable and luxurious, but the option for leather-appointed material and heated front seats seems to be a favorite. To have the interior all your friends are talking about, get the available Piano Black trim that has a leather wrapped steering wheel.